This winter our featured artist at Harbour Grill is painter Dan Telosky! 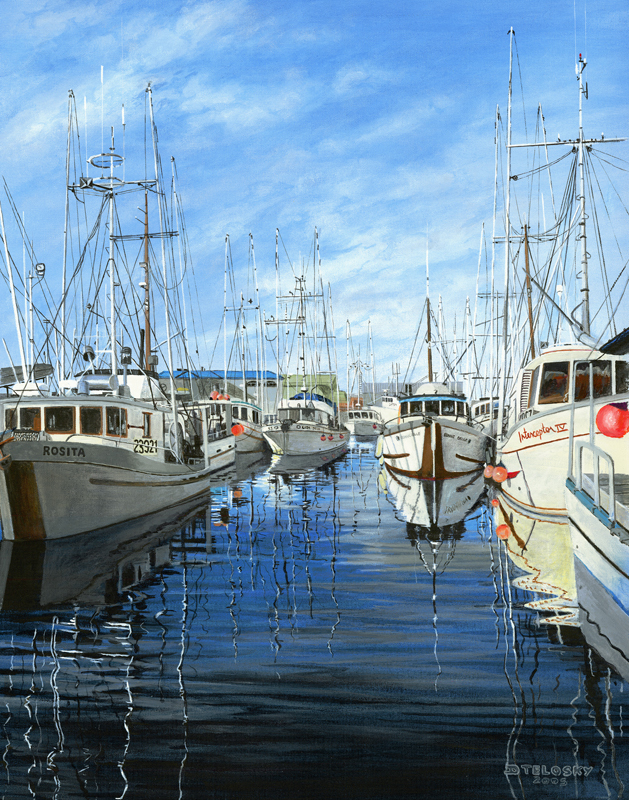 Dan Telosky Marine Artist grew up along the shores of Discovery Passage on Vancouver Island, with a clear view of British Columbia’s marine environment. His interest in, and affinity for, B.C.’s working boats has grown over the years, and what began as artistic dabbling has advanced to his all consuming passion.